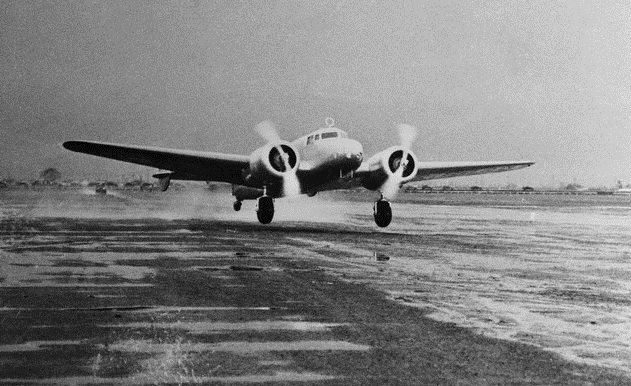 20 March 1937: After completing repairs and preparation for the second leg of her around-the-world flight—Hawaii to Howland Island—Amelia Earhart’s Lockheed Electra 10E, NR16020, was moved from Wheeler Field to Luke Field on Ford Island on 19 March to take advantage of the longer, fully paved runway. 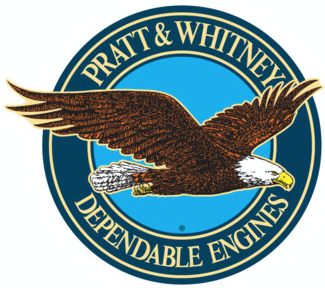 Paul Mantz had warmed the engines at 5:00 a.m., 20 March, then shut them down. He would not be aboard for this flight. 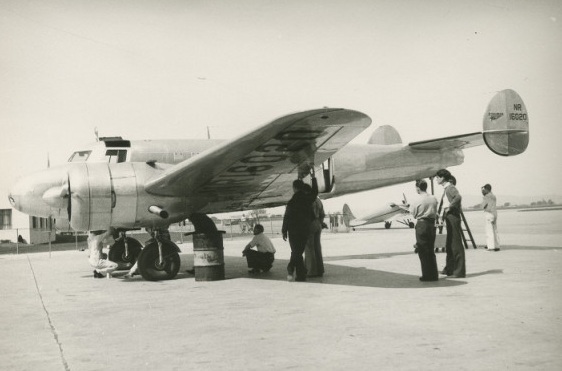 Amelia Earhart, Captain Manning and Captain Noonan boarded the Electra at 5:30 a.m. and Earhart restarted the engines. At 5:40 a.m., she began to taxi to the northeast corner of the runway. Weather was good, with a ceiling of 3,000 feet, visibility 3,500 feet in pre-dawn darkness, and wind from the south at 2 miles per hour. 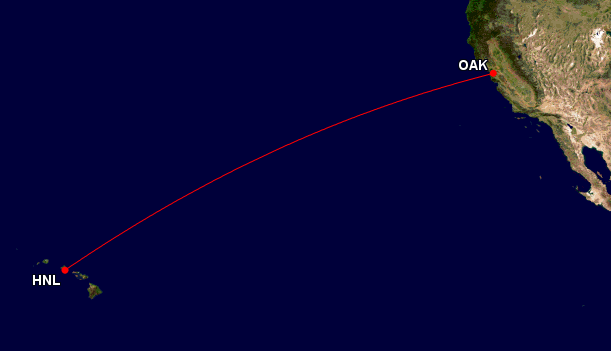 On reaching the end Miss Earhart turned and after a brief delay opened both throttles. As the airplane gathered speed it swung slightly to the right. 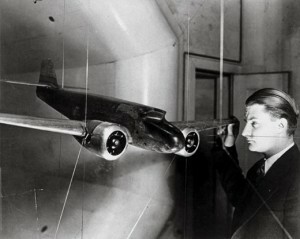 Miss Earhart corrected this tendency by throttling the left hand motor. The airplane then began to swing to the left with increasing speed, characteristic of a ground loop. It tilted outward, right wing low and for 50 or 60 feet was supported by the right wheel only. The right-hand landing-gear suddenly collapsed under this excessive load followed by the left. The airplane spun sharply to the left on its belly amid a shower of sparks from the mat and came to rest headed about 200 degrees from its initial course. There was no fire. Miss Earhart and her crew emerged unhurt. The visible damage to the airplane was as follows:- Right wing and engine nacelle severely damaged, left engine nacelle damaged on under side, right hand rudder and end of stabilizer bent. The engines were undamaged. The oil tanks were ruptured. . . . FINDINGS: . . . after a run of 1200 feet the airplane crashed on the landing mat due to collapse of the landing gear as a result of an uncontrolled ground loop; the lack of factual evidence makes it impossible to establish the reason for the ground loop; that as a result of the crash the airplane was damaged to an extent requiring major overhaul. . . . 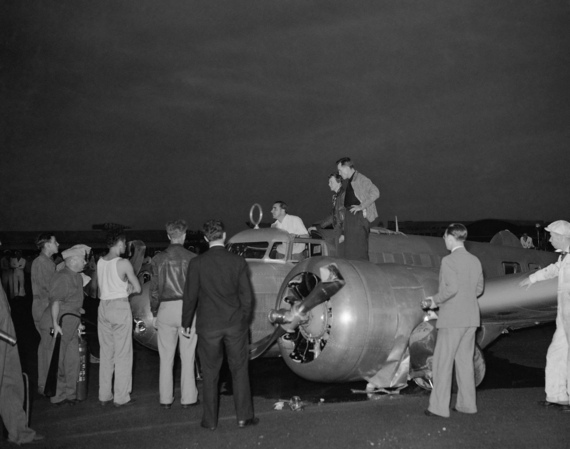 The Electra was extensively damaged. 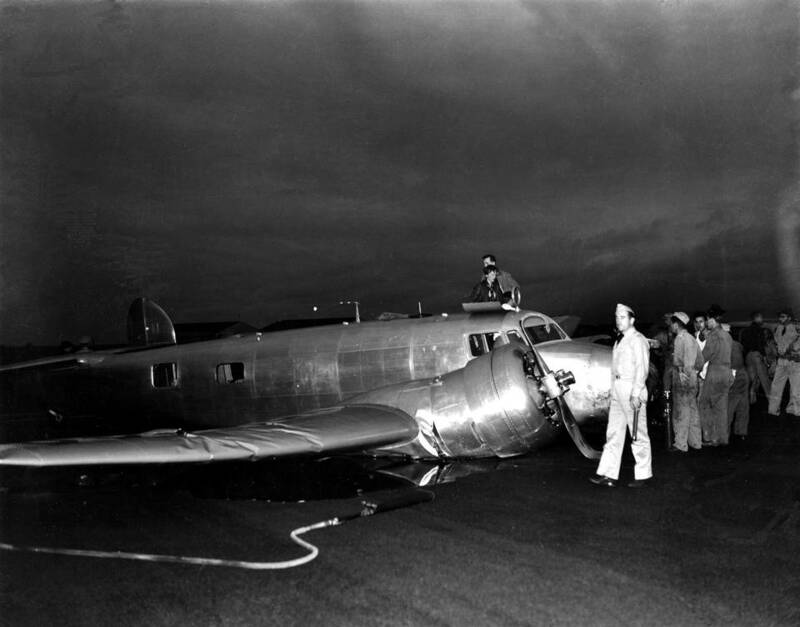 There were no injuries, but the Electra was sent back to Lockheed at Burbank, California, aboard the passenger liner, SS Lurline, for repair. At the time of the accident, NR16020 had flown 181 hours, 17 minutes, total time since new (TTSN). 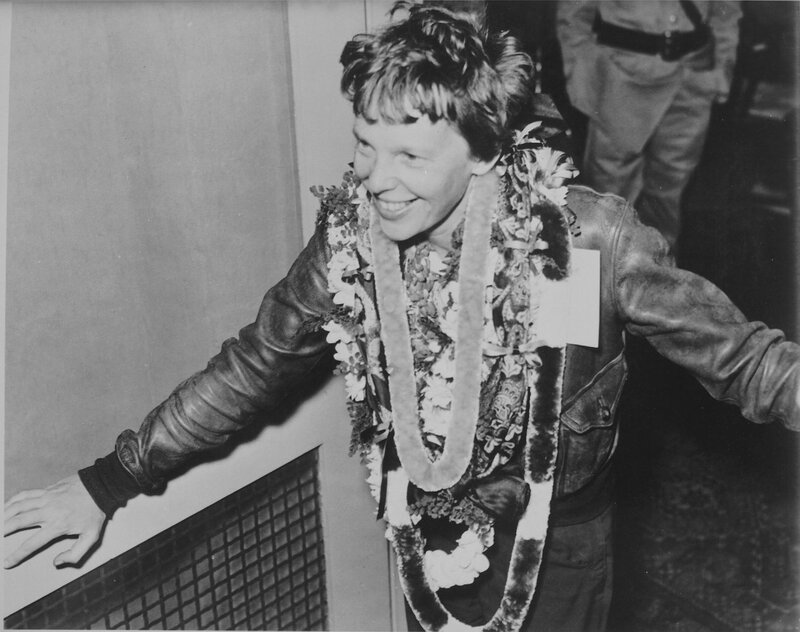 18 March 1937, 5:40 a.m.: Amelia Earhart and her crew sighted Diamond Head on the island of Oahu, Hawaiian Islands. 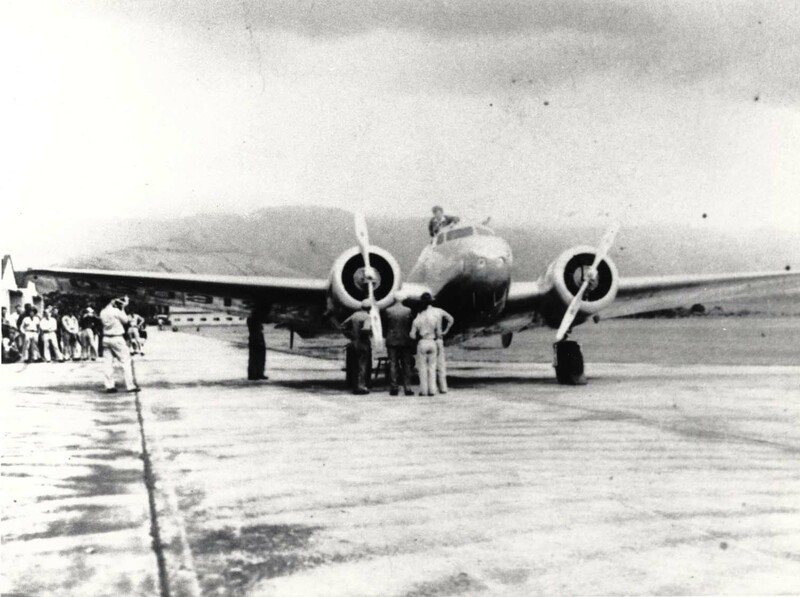 The Electra landed at Wheeler Army Airfield, Honolulu, after an overnight flight from Oakland, California, completing the first leg of a planned around-the-world flight in 15 hours, 47 minutes. 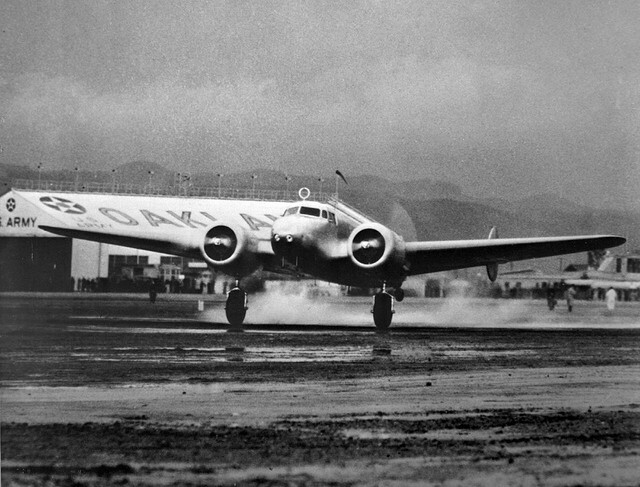 The airplane was Earhart’s Lockheed Electra 10E Special, registration NR16020. Also aboard were Paul Mantz, Amelia’s friend and adviser, as co-pilot, navigator Captain Frederick Joseph Noonan, formerly of Pan American Airways, and Captain Harry Manning of United States Lines, also a close friend of Amelia’s, acting as radio operator and navigator. 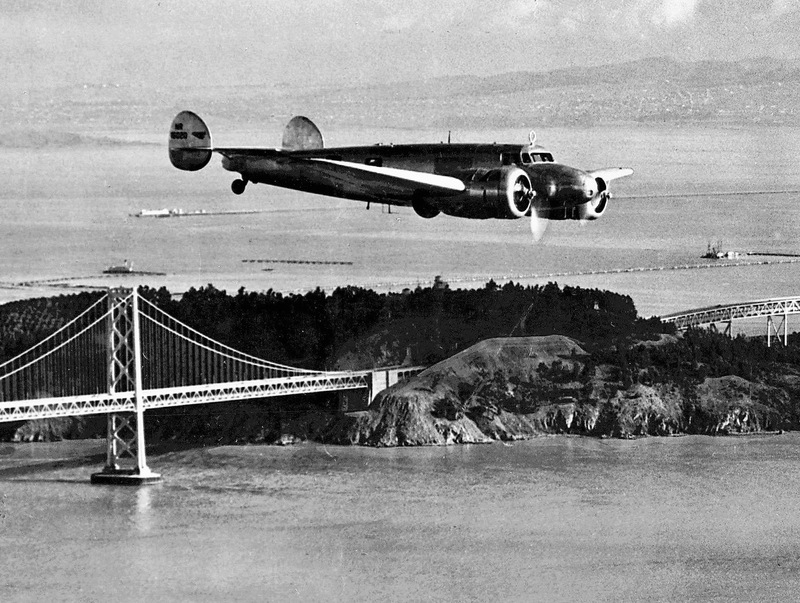 About an hour after takeoff from Oakland, California, the Electra overtook the Pan American Airways Hawaii Clipper, which had departed San Francisco Bay an hour-and-a-half before Earhart. 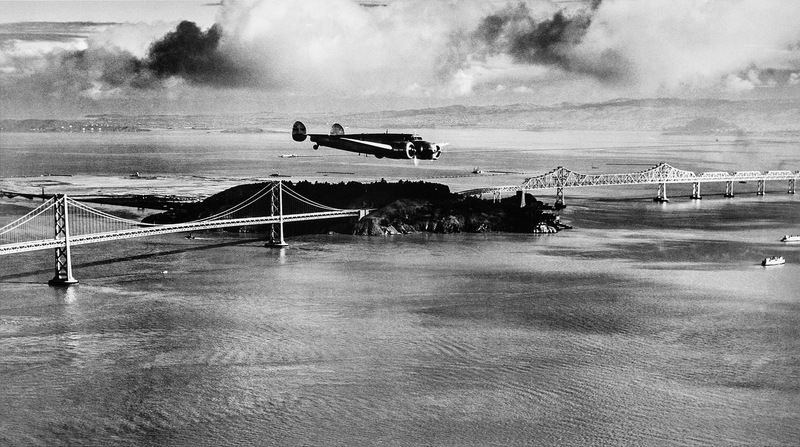 She took photographs of the Martin M-130 flying boat. 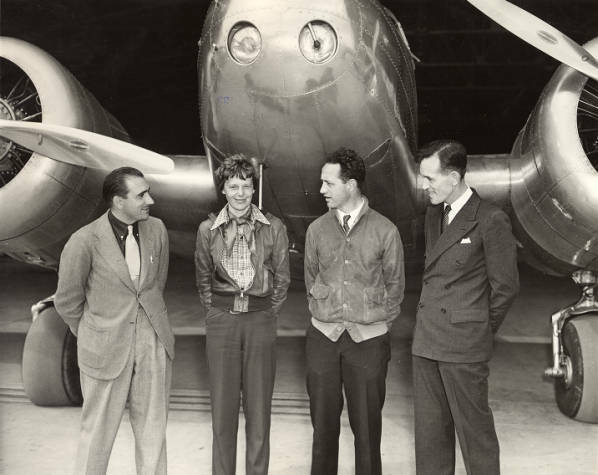 — Amelia: The Centennial Biography of an Aviation Pioneer, by Donald M. Goldstein and Katherine V. Dillon, Brassey’s, Washington and London, 1997, Chapter 18 at Page 171. 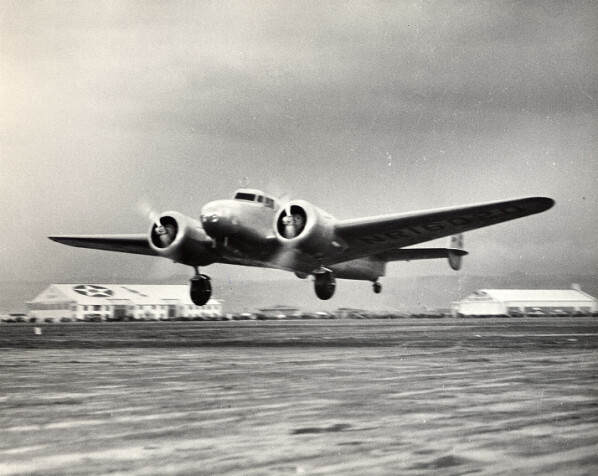 On arrival at Hawaii, Earhart, saying that she was very tired, asked Paul Mantz to make the landing at Wheeler Field.